Reframe the school librarian position as something less than a teacher. Do away with credentialed school librarians. Do away with school libraries. Replace school libraries with classroom libraries. 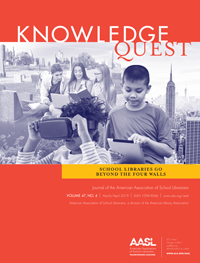 Articles from 2018 from both School Library Journal and Forbes discuss how public schools have lost the equivalent of twenty percent of their librarians since 2000, and the disproportionate impacts these force reductions have had on minority students. More recently, there has been a flurry of legislation that threatens to even more severely undercut the profession. Days later, in early March 2019, librarian Twitter lit up with news of Texas SB03. This bill didn’t recognize school librarians as teachers; therefore, the proposed raises for school librarians were significantly lower than classroom teachers. This despite the fact that Texas school librarians must have teacher certifications in addition to librarian certifications. I learned about both of these situations less than a day before each was to be voted on. That’s not a lot of time to marshal evidence and information and share it with those influencing or making policy decisions. The folks who brought up Texas SB03 were looking for some information that could help make the case that school librarians are critical to the success of students. I happened to have come across some information from an AASL Forum post, shared by Stephen Krashen, Professor Emeritus of the University of Southern California. In his post, Prof. Krashen cited several sources that bolstered the case for school libraries and school librarianship, so I passed that information along. That post also reminded me of a study out of Canada that I’d read as part of my M.I. program, so I shared that as well. But in looking at these sources, it occurred to me that I didn’t know of any one place that had collected the research on the importance of libraries and librarians into one place. A look around online didn’t turn anything up, either. As we move to defend school librarians and libraries, we need solid facts that support our cases. Since I wasn’t able to locate a single clearinghouse of school-library-supportive information, I started making one. I’ve been compiling any resources I can find into a spreadsheet. I’m including titles, sources, years of publication, links to the sources, and brief notes about what kind of resource each is. I’ve posted the results on a page in my website, “SL Support Resources.” I’ve also posted some contact information there in case others have additional resources they think should be included. Of course, I can be contacted with the links below, as well as through the comments section for this post. This is a point that I think most folks don’t get—teachers, administrators, parents, even students. School libraries are not (or should not be) a room full of books. They are dynamic spaces that address multiple learning needs, formal and informal, staffed by an information professional. School librarians are the uber-teachers. We know this. But if we can’t support this proposition with evidence, others are unlikely to believe it. And if we’re not willing to stand up for ourselves, it’s unclear who is going to. Keith Curry Lance. “School Librarian, Where Art Thou?” School Library Journal, 16 Mar. 2018, www.slj.com/?detailStory=school-librarian-art-thou. Accessed 26 Mar. 2019. Rowe, Adam. “U.S. Public Schools Have Lost Nearly 20% Of Their Librarians Since 2000.” Forbes, 23 May 2018, www.forbes.com/sites/adamrowe1/2018/05/21/u-s-public-schools-have-lost-20-of-their-librarians-since-2000/#1a7889e05ce5. Accessed 26 Mar. 2019. Sharp, Colby. “Colby Sharp on Twitter.” Twitter, 21 Feb. 2019, twitter.com/colbysharp/status/1098765150109224960. Accessed 26 Mar. 2019. Thank you for your comments concerning the state of school librarianship. I am responding to your blog post here in order for others to see the study. I am part of the Massachusetts School Library Association. Recently peers in cooperation with Rutgers University and members of the MA State Legislature completed a study on school library equity. 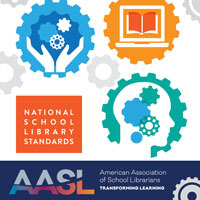 Here is a link to the Massachusetts Board of Library Commissioner’s page, https://mblc.state.ma.us/programs-and-support/youth-services/school-libraries-study.php The link is also posted on the MSLA website. This was a very timely and much needed blog. Thanks so much for you ideas and reflections. I’ll check out your SL Support Resources. 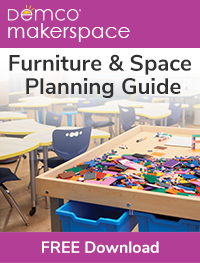 Georgina & Sara – Thank you for sharing more resources! I’ve added them to the spreadsheet so they can be found by anyone looking for additional support for their library! Chiquita – Thanks for the comments! I appreciate the feedback. Hopefully this spreadsheet can continue to grow, and serve as a resource for all.